Type: Sandy with crystal blue waters. Location: In Ermioni, close to Bisti. 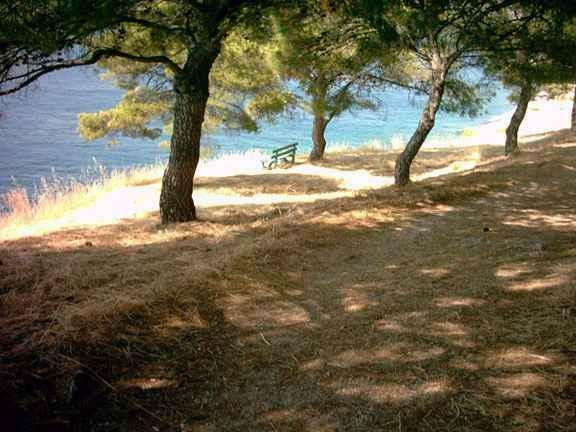 Access: On foot, if you are in Ermioni. Facilities: You’d better take all the equipment you may need. General: The beach with its idyllic landscape is quite popular, especially to young people, who visit it every summer. There are plenty of marvelous beaches around Ermioni. Dardiza, with sand, small pebbles, and crystal clear waters, is among the most well-organized beaches of the area, with swimming races carried out there every July. Sentoni, a sandy beach with shallow waters, is a top destination, suitable for families. Petrothalassa, partly sandy and partly cobbled, has one of the deepest sea bottoms in the area, deep blue waters and an idyllic landscape. Kouverta is another popular well-organized beach that swarms with tourists every summer; it’s 4 km from the town, on a divine little cove with tranquil deep blue waters, ideal for diving and spear fishing. You may also enjoy swimming in the crystal clear waters of Bourloto, Saint Demetrios, and the beaches of Thermisia and Plepi.